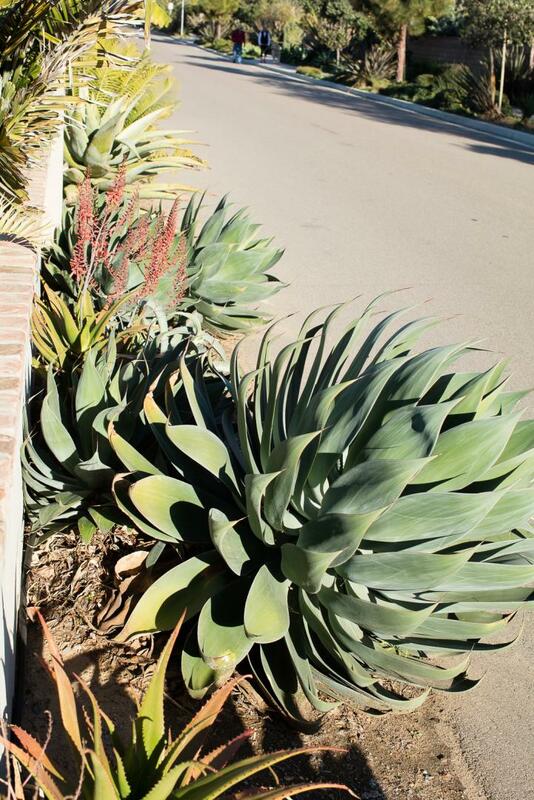 When I was in coastal southern California in January, I saw several large plants that had some sort of huge bloom jutting out from their centres. The blooms were basically green, but were shaped like a giant, arched CAT IN THE HAT hat shooting out from the plant --- and longer than your arm. Those giant blooms (if that is what they are) were huge. This is a plant that I saw several times in southern California, but I have never seen a single one in Florida, to my recollection. What was this plant? I was so focused on the giant, arched bloom (or whatever it was) that I did not pay attention to the actual plant that was producing it, unfortunately. If you know what this plant was, please do post your answer here. Thanks! No photograph ? This is a pretty thin description ! Try a search for Echium flowers, some of them are quite tall, and arch over. Yes, that's it! I have just googled Agave Attenuata (Fox Tail Agave) and I think that must be what I was seeing there. What an eye-catching bloom that is! How long does that huge bloom last? Those things were everywhere in coastal SoCal in January, and you really couldn't miss them. I also wonder how cold-hardy they are, just in case I wanted to try one over here in northeastern Florida (bearing in mind that it might rot in our humidity and rain). Attentuata is a more tropical species of agave. Doesn't tolerate frost. You should look into Agave ellemeetiana as it has a similar look and tolerates more cold. Each rosette blooms after 7 to 10 years and the flowering head will die after the 6 months or so that the bloom spike lasts. They pup heavily though so there are always replacement rosettes. Thank you! So, that big "flower" lasts for six months!? Wow. 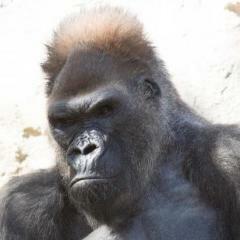 That's fantastic --- or perhaps I have misunderstand your post. 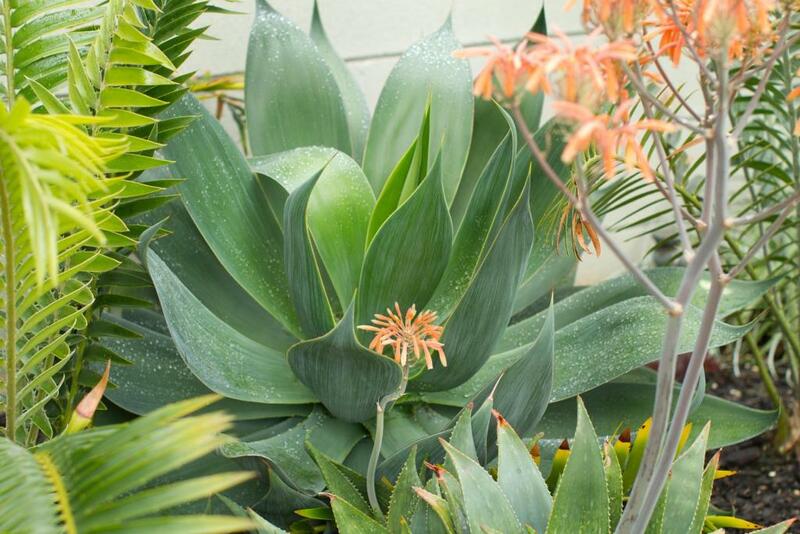 I took a quick peek at Agave Ellemeetiana online and there were very few photos of flowering ones. The photo that I saw of the "flower" was yellow and erect directly upright, not gracefully curved like Agave Attenuata. 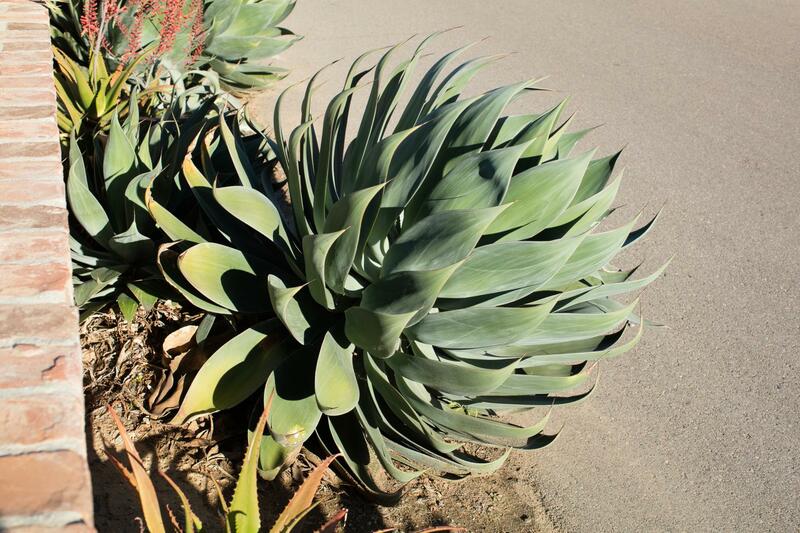 Without researching much, I just saw a website which lumped Agave Attenuata and Agave Ellemeetiana together in a category of agaves that will not tolerate below 30 degrees celsius. Is that correct? Will Ellemeetiana tolerate down to the low 20s without being killed or looking awful? yeah! all agave ( with the exception of perhaps 1 or 2 species) will live for a decade or so before commencing a "grand finale" show. It usually takes about 6 months for the plant to go through its bloom cycle (from when the bloom spike begins to develop to when the plant dies) and all that's left is a desiccated rosette and a spent flower spike with seed pods. So individual flowers won't last for 6 months, but flowers will open as the flower spike matures (at the bottom of the spike first, and then open progressively upward toward the tip). I have both attenuata and ellemeetiana. Both will tolerate low 30s but ellemeetiana can handle frost while attenuata "melts" with frost. Ellemeetiana is a slow poke, I would imagine that if it were damaged, it would take forever to look good again. Attenuata grow very fast, so they might outgrow cosmetic damage in a season. As far as the bloom spike goes, attenuata certainly is unique. I can't think of any other agave with a bloom spike like it. Another alternative is a hybid of Agave attenuata, specifically with Agave shawii as the seed parent. I can't speak to the low temp potential from personal experience, but one wholesale grower says they are good down to 25f on their website (San Marcos Growers here in California). The hybrid is known as Agave blue flame and it is a vigorous pup producer. The one negative is that it doesn't want to stay put and grow up, it wants to crawl out of the space where you plant it. It still might be an option for you and is quite attractive. It is a bit like Agave Attenuata, but I wonder how the flower would stand up to our winters here in northeastern Florida ( zone 9a). Temperatures have not dropped below freezing this winter (even during the midwestern polar vortex of January), but some years we do experience a significant cold drop in temperatures on a couple of nights. You have such incredible landscaping out there in Southern California --- so exotic compared to here. Thanks for the advice. If anyone else has more suggestions, please do not hesitate to post them on this thread. The Agave blue flame pictured in my prior post was 1/2 day sun, half day shade for perspective and did just fine. I took offset pups from it and brought it to my new garden, planting them along the outside wall. You can see how they start to crawl in the photo, even though they were planted small and were in an upright vertical position. In the new spot, they are getting reflected heat from my south facing wall all winter, and am to mid-day full sun in summer with a little shade in the late afternoon. They seem to thrive in it, just like the Aloes I have planted along the same section.